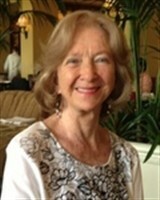 For nearly four decades, Dr. Skipi Lundquist Smoot has dedicated herself to helping others as a clinical psychologist, marriage and family therapist, and business consultant in California. She became passionate about psychology at a young age, and has pursued it ever since, starting with a Bachelor of Arts in psychology from the College of William and Mary in 1978. In 1980, Dr. Smoot advanced to earn a Master of Arts from Pepperdine University, and in 1985, she earned a PhD from the California School of Professional Psychology (now Alliant International University). Alliant has trained approximately half of the licensed psychologists in California. Dr. Smoot has been utilizing her skills in her private practice at Cognitive Psyche Therapy for Adolescents and Adults since 1995. As a clinical psychologist, she has helped hundreds of clients resolve both personal and interpersonal conflict, learn to make fair and successful decisions, and deal with heartbreak due to tragedy concerning loved ones. She assesses, diagnoses, and treats mental and emotional and behavioral issues, including stressful life events, anxieties, fears, and depression. Over the course of her career, Dr. Smoot has garnered experience in a number of positions prior to her current one. She was the clinical director at Career Ambitions Unlimited from 1991 to 1998, and clinical director at Psychological Decisions from 1991 to 1994, as well as psychologist at both the Psychological Center in Orange and El Toro, Calif., and the Mental Health Association of Orange County. Dr. Smoot also held the title of psychotherapist at the California State Police, Orange County Child Guidance, and at college hospitals. Additionally, she was a psychological consultant at seminars and workshops for businesses in Irvine and Laguna Hills, Calif., and was the owner and operator of McDonald’s restaurants from 1965 to 1976. One of the highlights of Dr. Smoot’s journey has been authoring “Maturation: The Adult Paradigm: The Missing Link for the Resolution of Anxiety,” which discusses psychological maturation in adults that requires tolerance of personal differences without giving up individuality. For readers searching for a resolution of psychological and relationship problems, the book acts as a self-help guide that teaches a clear method for resolving conflicts, coping with stress, and making successful decisions. Dr. Smoot ensures that she remains abreast of the latest happenings amongst her peers and community through her affiliation with various professional organizations. Notably, she is a member of the American Psychological Association and the California Psychological Association. She has been recognized for her accomplishments in her field with a Marquis Who’s Who Lifetime Achievement Award, and has been featured in numerous editions of Who’s Who in America, Who’s Who in the World, and Who’s Who of American Women. In her spare time, Dr. Smoot enjoys music, travel, and research.